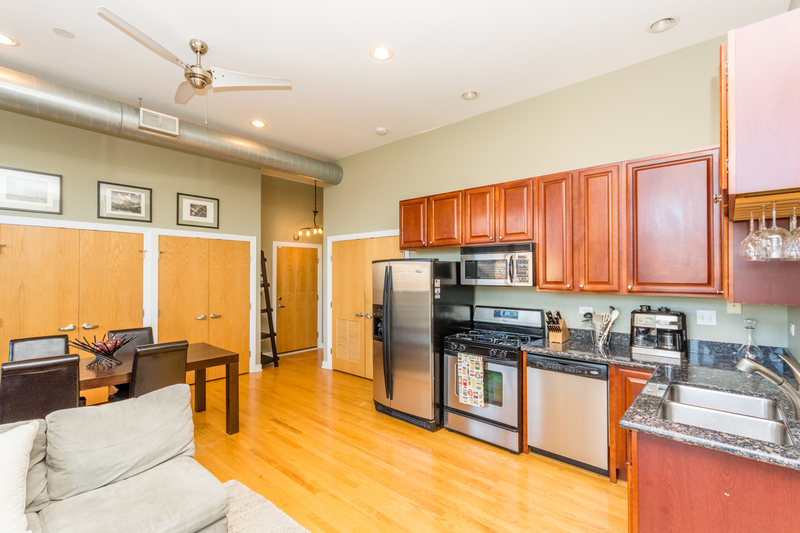 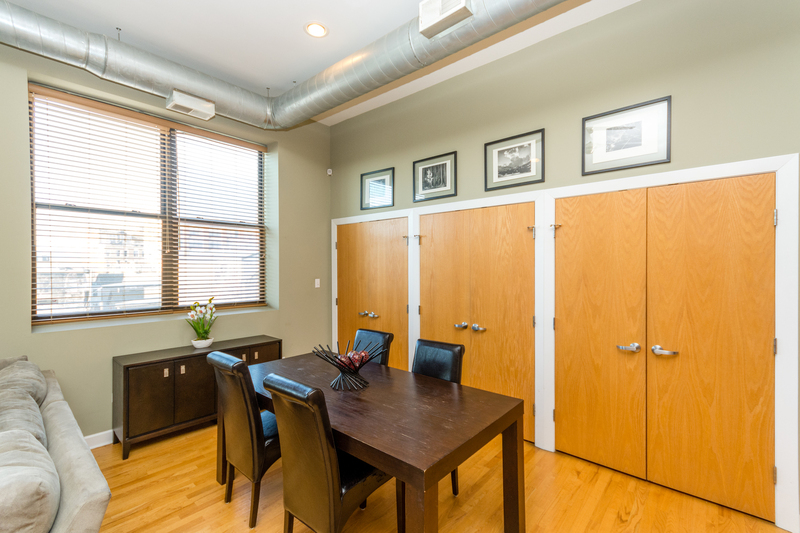 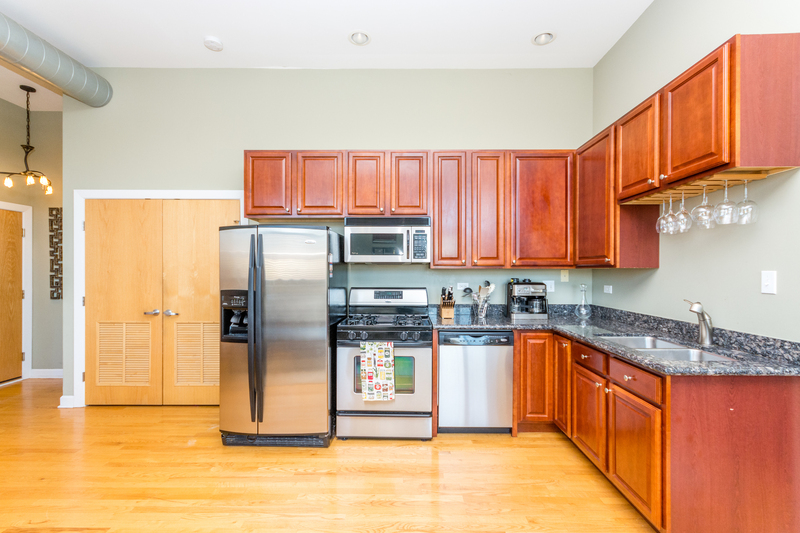 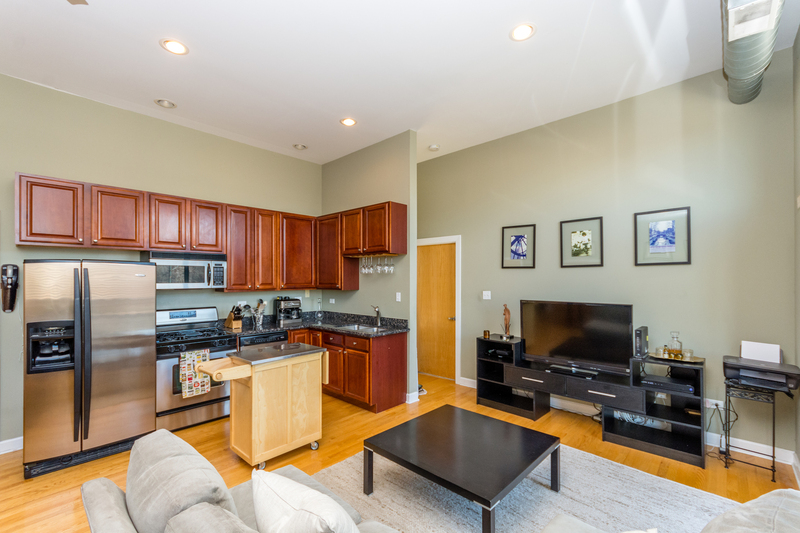 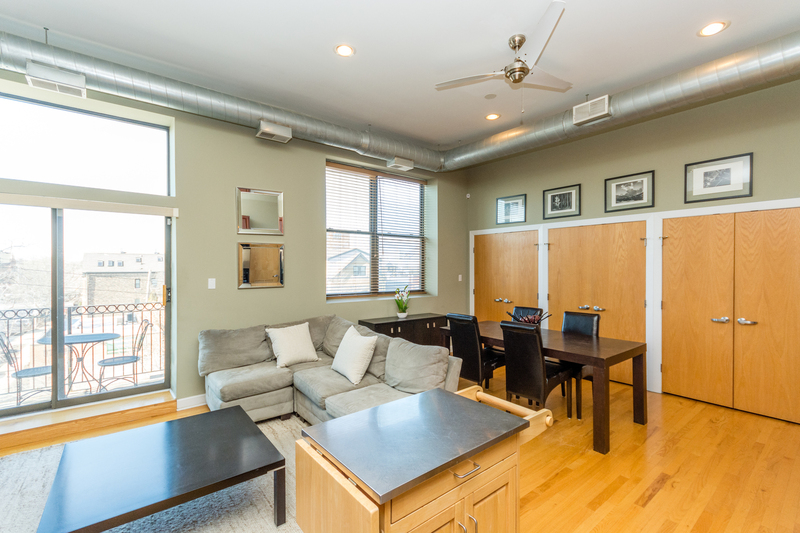 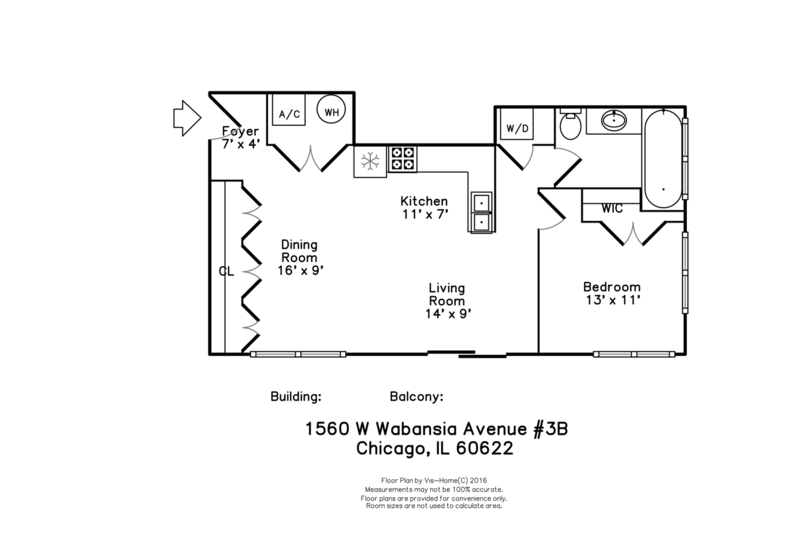 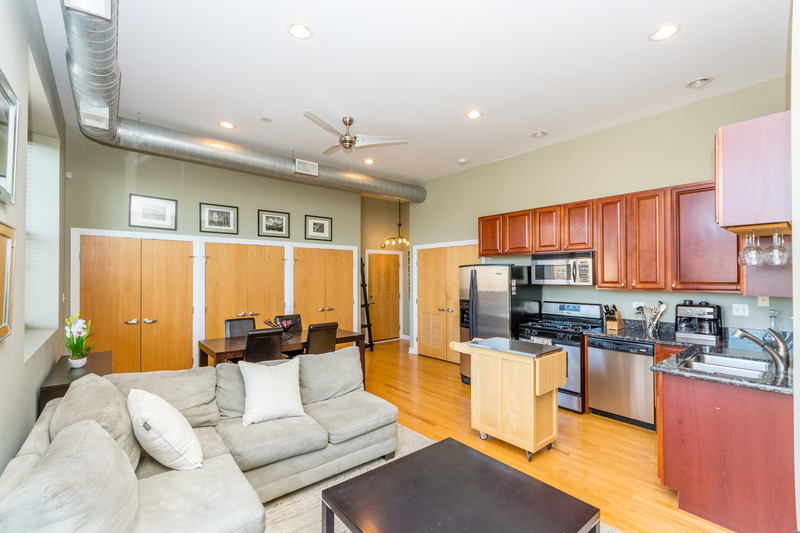 BRIGHT AND SPACIOUS 1 BEDROOM, 1 BATH UNIT IN LIVELY WICKER PARK/BUCKTOWN LOCATION. 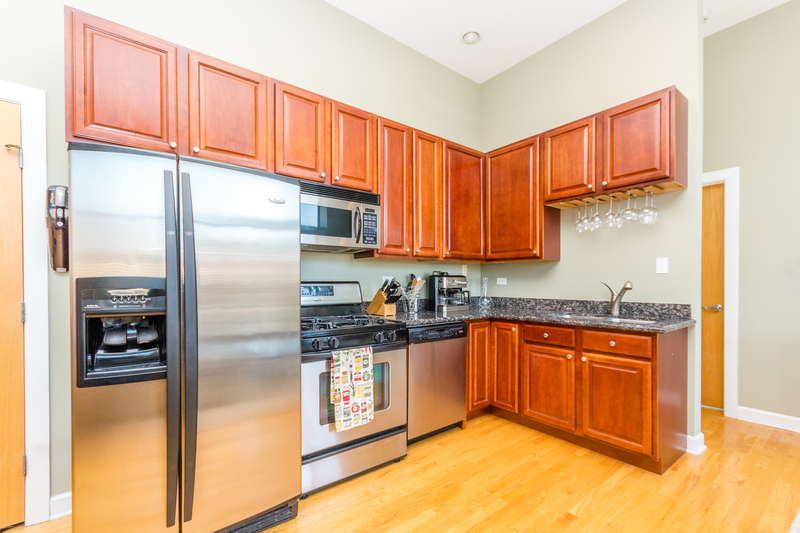 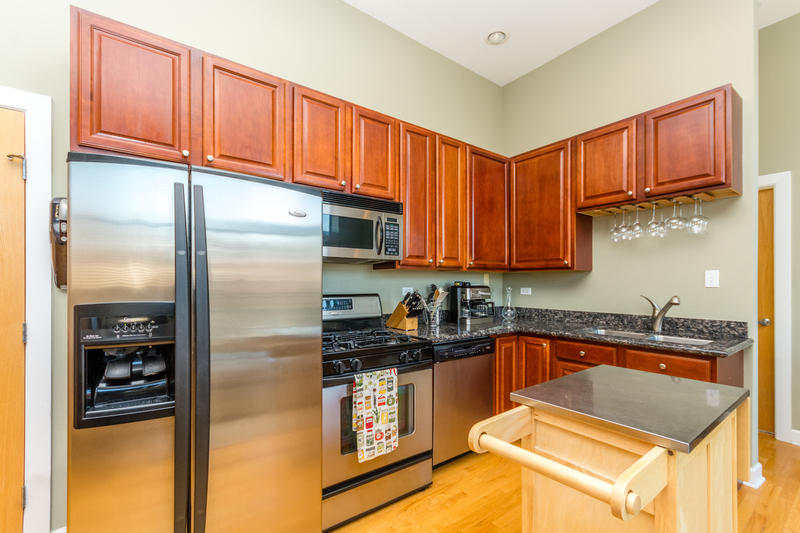 WELL-MAINTAINED AND BEAUTIFUL CORNER UNIT FEATURES OPEN FLOOR PLAN, HARDWOOD FLOORS, GENEROUS CLOSET SPACE, AND A GORGEOUS KITCHEN WITH STAINLESS STEEL APPLIANCES, GRANITE COUNTERTOPS, CHERRY CABINETRY, AND ROOM FOR AN ISLAND! 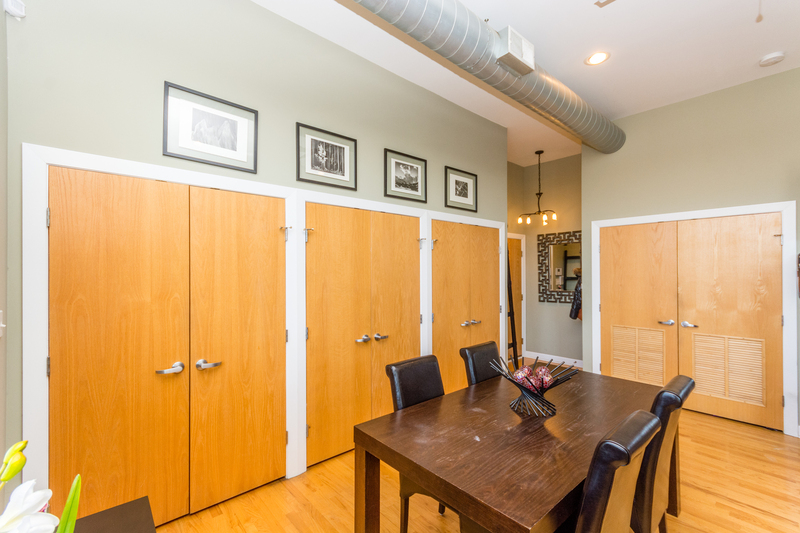 SEPARATE DINING AREA ALLOWS FOR A FULL-SIZE DINING TABLE. 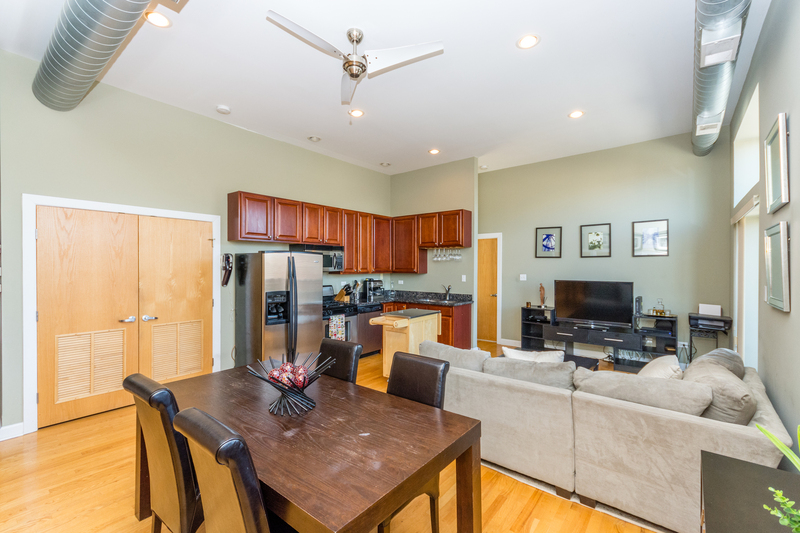 GREAT SPACE FOR ENTERTAINING! 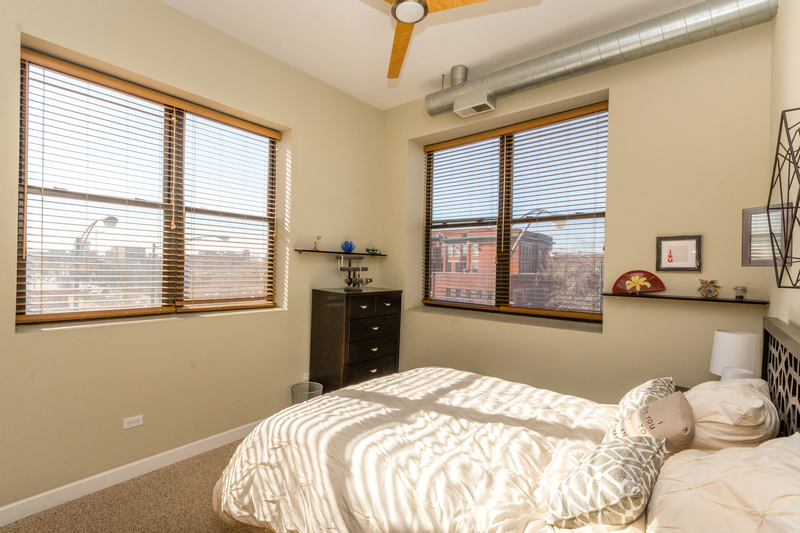 FULLY ENCLOSED BEDROOM WITH GREAT WINDOWS. 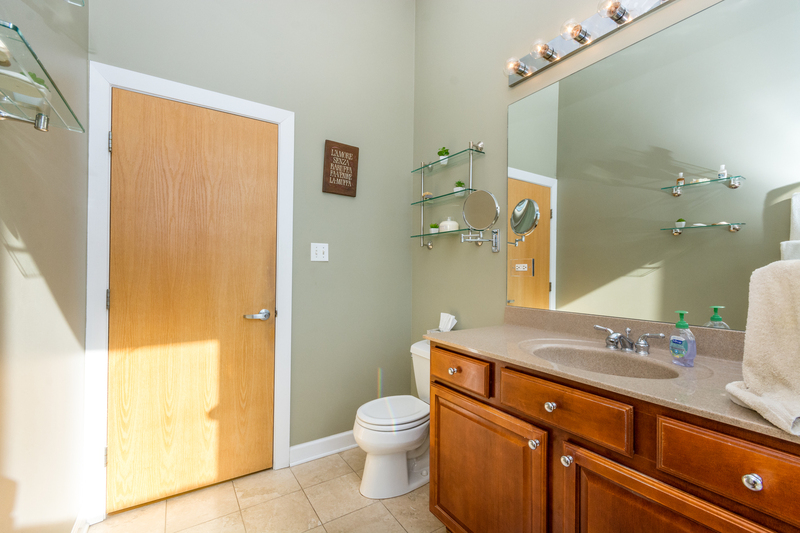 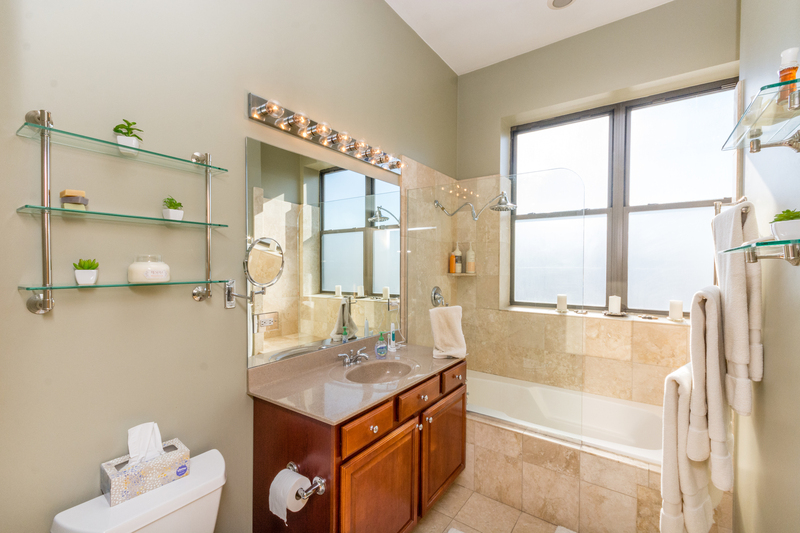 SPA-LIKE BATHROOM FEATURES NEUTRAL, NATURAL STONE TILE, ADULT-HEIGHT VANITY AND GLASS SHOWER DOOR. 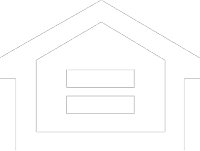 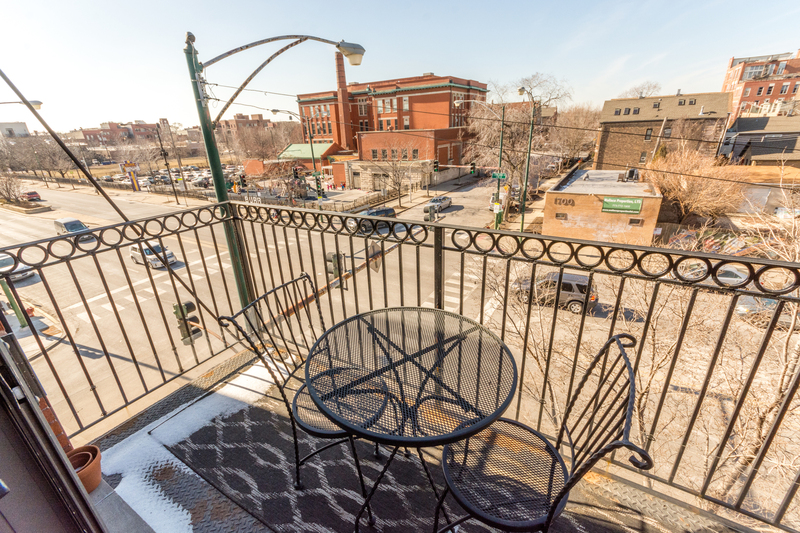 UNIT INCLUDES WASHER/DRYER, COZY, PRIVATE BALCONY OFF LIVING ROOM WITH ROOM FOR TABLE AND CHAIRS, AND A GATED OUTDOOR PARKING SPOT. 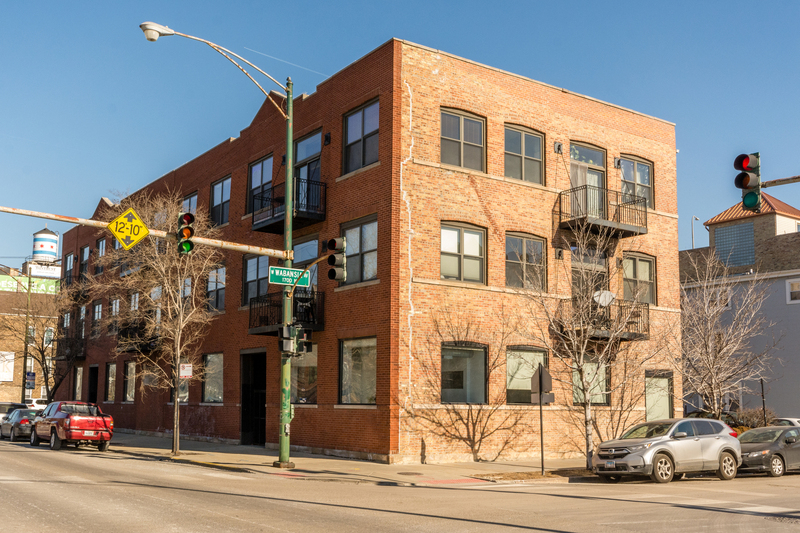 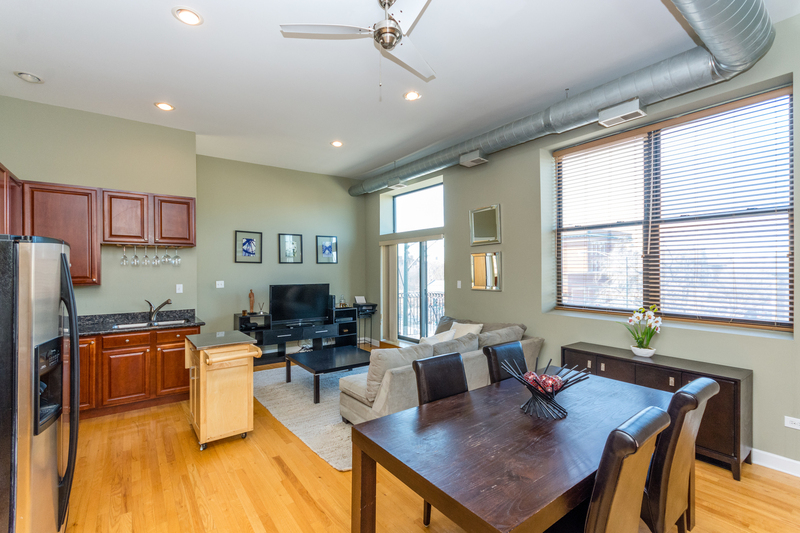 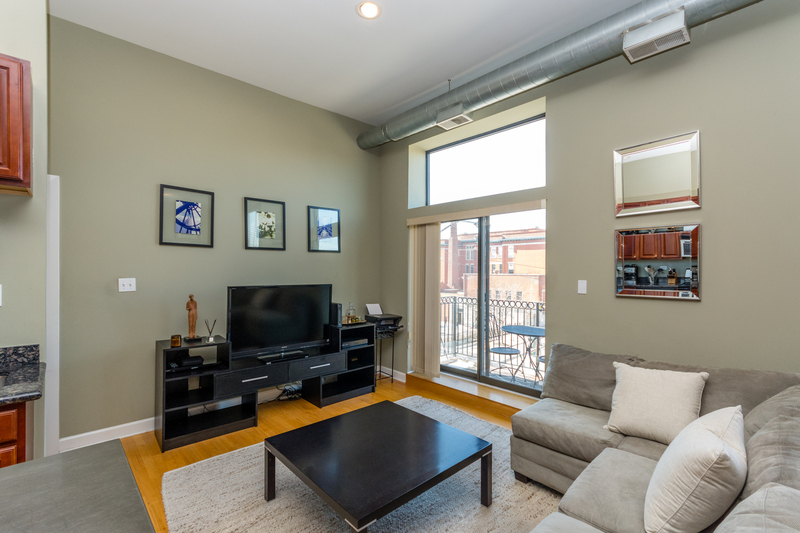 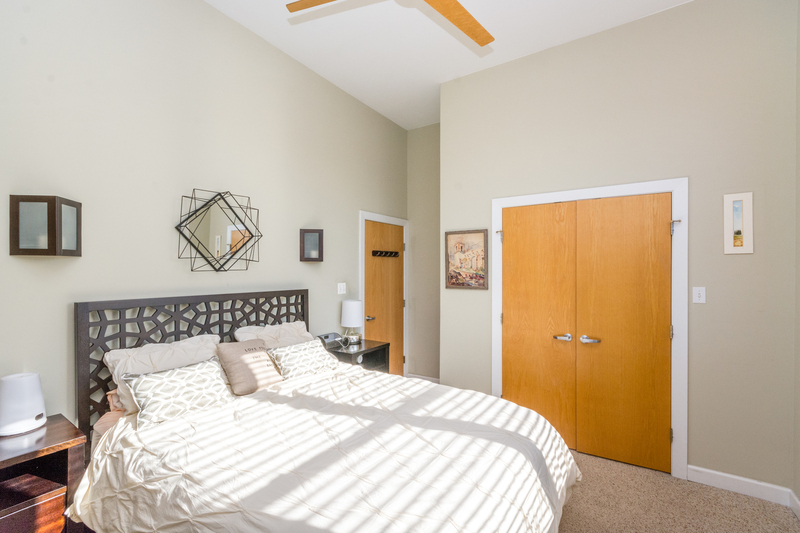 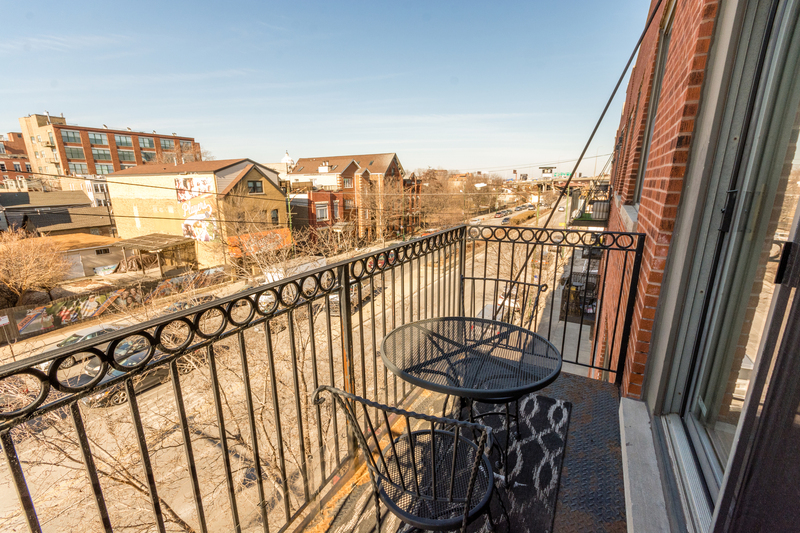 STEPS FROM THE 606 TRAIL, CONVENIENT LOCATION CLOSE TO PUBLIC TRANSPORTATION, EXPRESSWAY, RESTAURANTS, SHOPPING, NIGHTLIFE, AND ALL THAT WICKER PARK/BUCKTOWN HAS TO OFFER! 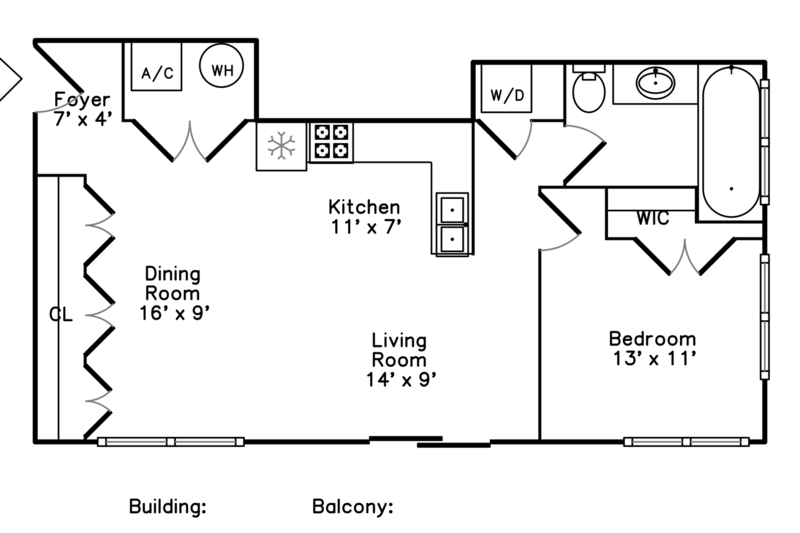 UNIT DOES NOT FACE EXPRESSWAY.